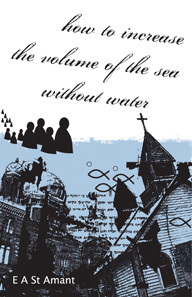 How to Increase the Volume of the Sea Without Water is filled with characters who break with common boundaries yet somehow redefine our society. They challenge with rare analysis, yet they remain free and majestic. You’ll encounter fine characters to love, ones to despise; fervent, courageous, and most, more interesting than many renowned people.